Lollapalooza 2017 lineup: Look familiar? 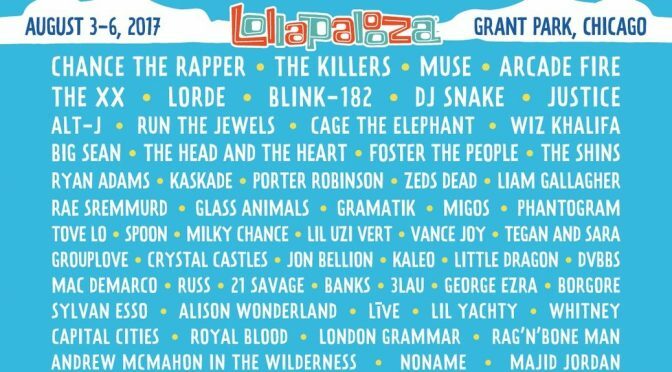 When you look at the 2017 Lollapalooza lineup released yesterday, a lot of those names might look familiar. Of the nine BIG FONT headliners only one (Blink-182) has never played Lolla before. Extending that to the 22 artists comprising the top five rows adds three more newbies: Wiz Khalifa, Big Sean, and Liam Gallagher. 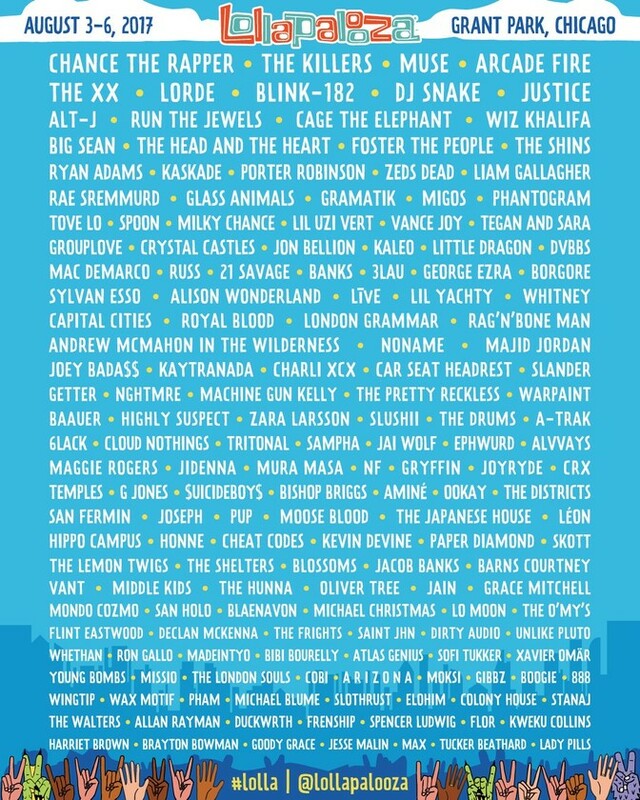 If you’ve gone to Lolla over the past several years, you’ve probably already seen 18 of the top 22 acts. That’s 82%. Adding in the next three rows brings us to a total of 39 artists; 28 of them (72%) are Lolla veterans. This year will mark the Killers’ fourth Lollapalooza and it’ll be the fifth time for Cage the Elephant, Kaskade, and our beloved Spoon. The undercard consists of an additional 21 groups that have played Lolla before and 108 that haven’t. So if you’re looking for new experiences, get there early! I realize people don’t necessarily go to Lollapalooza every year and there’s certainly nothing wrong with seeing the same band a bunch of times. And you can’t blame the artists for cashing in on the festival circuit gravy train. But if you’re starting to feel a little deja vu when these lineup announcements come out, it’s not just your imagination. We have all been here before.